Welcome to A Dolly's World / Bear Stuff N Plush. 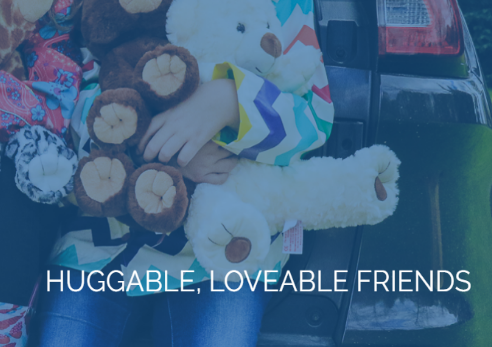 We are an online discount retail store specializing in Unstuffed Plush animals for fundraising, Special events, Social activities, Birthday Party crafts and gifts. We have been in business for over 15 years and pride ourselves on quality products at affordable prices with complete customer service. I began this business over 15 year ago because of my love for dolls and stuffed animals. We offer people an affordable option for hosting a Bear Building party or event from any location. We currently carry over 85 Animal styles available in (2) sizes. Our Unstuffed animal and bear kits are idea for parties, holiday events, fundraisers, party favors and gifts!! We offer discounts and wholesale pricing on all of our Unstuffed animal kits. The more you buy, the more you save. No wholesale account is needed for our discount pricing tiers. We also offer a variety of of Bear clothing, wholesale mini T shirts, costumes and accessories. We continue to add new products frequently to keep things fun and fresh. Look for more new items soon. We would like to shout out a BIG "THANK YOU" to our customers for their continued support over the years. We deeply appreciate your business. We would like to extend a warm welcome To all new customers. Please feel free to browse our site. If you have any questions please feel free to contact us and dont forget to FOLLOW us o FACEBOOK.